You are here: Home / Search for "fat"
A U.S. Navy Lieutenant Commander was sentenced on Jan. 12, 2017 to 30 months in prison for accepting cash, hotel expenses and the services of a prostitute from foreign defense contractor Glenn Defense Marine Asia (GDMA) in exchange for classified Navy information. This action is the latest in a 3-year string of guilty pleas, indictments and convictions related to alleged fraudulent activities of GDMA and its chief executive, Leonard Glenn “Fat Leonard” Francis. GDMA won contracts from the Navy worth more than $200 million since 2009. The contracts were for port services to U.S. Navy ships and submarines throughout the Pacific. The Jan. 12 sentencing stems from Gentry Debord’s October 2016 guilty plea to one count of conspiracy to commit bribery. He admitted that in 2007 he began a corrupt relationship with Francis. In addition to his 30-month prison sentence, U.S. District Judge Janis L. Sammartino ordered Debord to pay a $15,000 fine and $37,000 in restitution to the Navy. As part of the scheme, between 2007 and 2013, Debord accepted cash, luxury hotels and the services of prostitutes from Francis in exchange for proprietary Navy information that benefitted GDMA. During this period, Debord served as a supply officer aboard the U.S.S. Essex and later as a logistics officer for the Pacific Fleet. used his position and influence in the U.S. Navy to advocate for and advance GDMA’s interests. 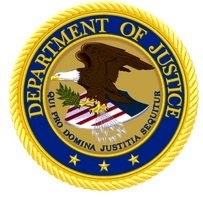 To date, a total of 16 individuals have been charged in connection with the scheme. Of those, 10 have pleaded guilty, including Debora, Admiral Robert Gilead, Captain Michael Brooks, Commander Bobby Pitts, Captain Daniel Dusk, Commander Michael Mickiewicz, Lt. Commander Todd Malaki, Commander Jose Luis Sanchez and U.S. Petty Officer First Class Daniel Layup. On Jan. 21, 2016, Layup was sentenced to 27 months in prison and a $15,000 fine. On March 25, 2016, Dusk was sentenced to 46 months in prison and to pay $30,000 in restitution to the Navy and a $70,000 fine. On April 29, 2016, Mickiewicz was sentenced to 78 months in prison and to pay a fine of $100,000 and to pay $95,000 in restitution to the Navy. Beliveau was sentenced on Oct. 14, 2016, to 12 years in prison and to pay $20 million in restitution. Simpkins was sentenced on Dec. 2, 2016, to 72 months in prison. Brooks, Gilbeau and Sanchez await sentencing. 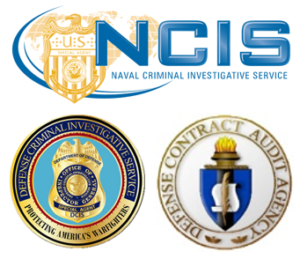 The Defense Criminal Investigative Service, the Navy Criminal Investigative Service, and the Defense Contract Audit Agency are continuing the investigation of this matter.